These are some very pretty things I would love to make!! (1) EMBELLISHED LANTERNS. These paper lanterns from Childhood 101 involve a variety of skill levels so children can help participate in making the art. Visit the site for instructions and even more styles of lanterns. (2) EMBELLISHED FOUND NECKLACE. 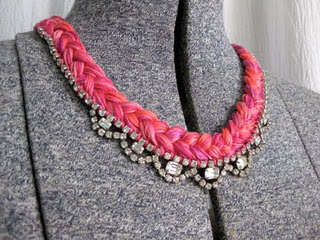 This thread and jewel necklace is from instructables contributor thanksimadeit. Half the fun of making this necklace is going on the hunt for some vintage jewelry. Check out the instructions at the site. It's much easier to make than it looks. (3) EMBELLISHED GLASS. 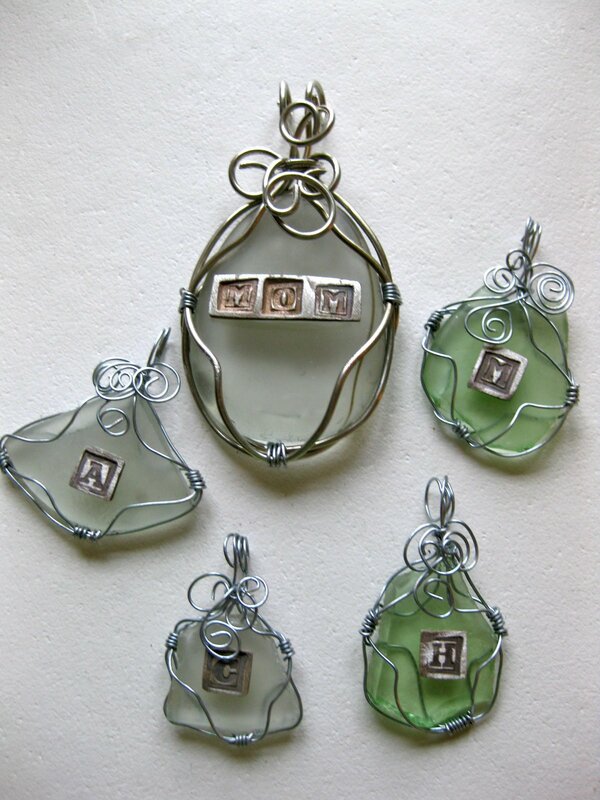 These amazing sea glass pendants are by Can't Stop Making Things and is featured as a Dollar Store Craft. Used as necklaces, charms, or tags they offer many options and can be made with just a few bucks.